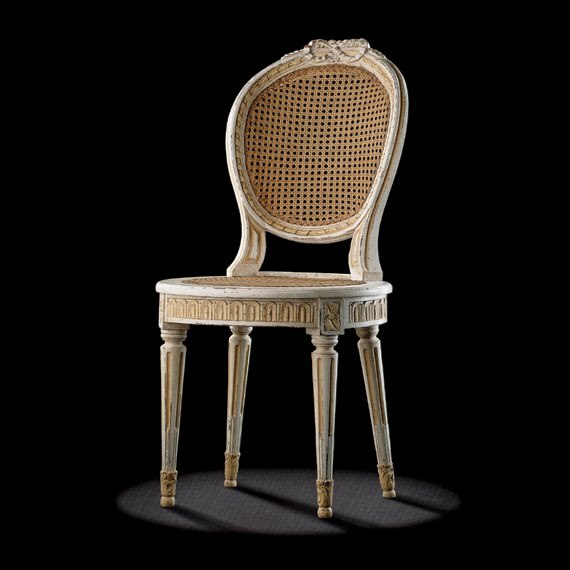 Louis XVI chair caned a la d’Artois, circa 1775-1780. Dimensions : 93 h x 48 w x 44 d cm. Original : collection of an antiquarian in Namur (Belgium). This very fine French Antiques Furniture model with its circular seat and medallion chair back comes from the first Paris chairs in the Louis XVI style. 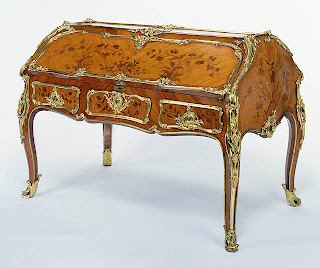 The fine carving of the arched rail, the acanthus at the ends of the turned legs, and the ribbon around the splat decorate this model very happily. 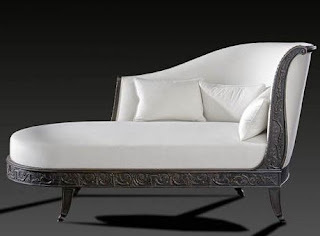 The size of the knot of ribbon, which was very fashionable at that time, bears witness to the emergence of the Louis XVI style Caned Chair while adding a great deal of charm. The proportions of the tapering of the legs are excellent. The en cabriolet shape of the splat provides good support for the user’s back.